Excellent information. I had not known about Pettigrew’s dismissed report by Hill and Heth. It begs the question, then, what compelled Lee throughout this battle? After the rout of Howard’s XI Corps by Ewell’s II Corps later on July 1st north of Gettysburg, did Lee envision a great decisive victory on Union soil which could turn Northern sentiment against continuance of the war? 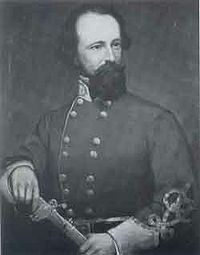 Surely, Lee observed by mid-day on July 2nd that Meade’s army was consolidating on the high ground south of town (i.e. Cemetery Hill, Culp’s Hill, and southward along Cemetery Ridge). This was a formidable defensive position by any measure. Yet, he threw Longstreet’s I Corps against its left flank (which nearly succeeded) as Sedgwick’s powerful VI Corps was arriving from the Baltimore Pike, and then Ewell’s again against its right flank. Upon nightfall, Lee should have realized the futility of this engagement. But, instead, Lee stayed. Pickett’s Charge the next day was a foregone conclusion which Longstreet desperately tried to dissuade his superior from taking. Lee’s generalship at Gettysburg has been severely scrutinized and for good reason. As long as his army remained intact during this second invasion of the North, the South’s larger strategic goal remained viable. Yes, A.P. Hill blundered. Yes, Lee’s cavalry neglected its primary duty to keep Lee informed of Union forces. But, Lee was ultimately responsible for the defeat – IMO. That’s a fact but even today there are defenders of General Lee who refuse to accept any criticism of him. His decision to fight for this offensive and completely reorganize his army with new commanders who had never worked directly for him less than 2 weeks before embarking on the offensive is an example of hubris that any commander would be wise to think about. Hill and Heth were inexperienced at their level of command, but Lee knew better and deserves most of the blame. Yes, Lee is a mythical figure in some people’s eyes. However, his performance as a military commander should be assessed objectively. I always am objective in my treatment of Lee. I don’t buy the myth but give him credit where credit is due as during the 7 Days, Second Bull Run, Fredericksburg , Chancellorsville and on the defense in 1864 until it no longer made sense to continue resisting. At the same time he was lucky that he didn’t lose his army at Antietam and during the retreat from Gettysburg. I think that like Isoruku Yamamoto Lee was a great operation commander who overestimated his soldier’s capabilities and led his people to defeat. Yamamoto got lucky, he was shot down before the disaster that overwhelmed his nation, but Lee chose to continue the war after Sherman’s capture of Atlanta, his march to the sea, the fall of Mobile Bay, and the re-election of Lincoln. He refused to support the emancipation of Blacks to serve as Confederate soldiers until February 1865. He was had no mercy to Confederate soldier who deserted after Sherman’s troops devastated their homes and made their families homeless. He ordered the execution of thousands of “deserters” when the war was already lost. 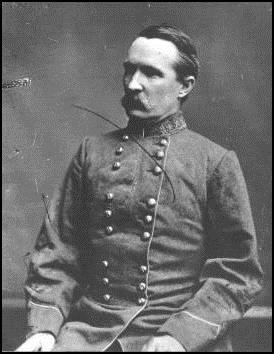 Lee was a superb commander at the operational and tactical level but he was no strategist and in the end he condemned the Confederate States to devastation and the myth of the lost cause because he did not have the courage to to Jefferson Davis the truth until it was far too late. I completely agree. Your summation of General Lee is very fair and accurate. I’ve lived in the Deep South and met people who see him not as a man, but as some kind of irreproachable demigod. I’ve never been able to understand that mentality. One of the peculiarities of the Civil War is the apparent gap in tactical and leadership skills between Confederate and Union army officers. Lee and Jackson stand out, but history paints the picture of the ably-led Southern warrior and the ineptly-led Northern soldier. Is this really true? Each side had vastly different circumstances to contend with. The Union was larger, industrialized, and had more material resources. But, it also had more cultural diversity as well as a general reluctance towards the war. The Confederacy was exclusive by design, being a class-based agricultural society reliant on slavery. Its attitude towards the war was more assertive, where pride and elan projected a determination to preserve its way of life. Still, this historical perspective and the real circumstances which support it may not be as conclusive as one might believe. While much of the retrospection focuses on the campaigns in the east, the western theater was a disaster for the South right from the beginning. Furthermore, casualty figures tell a different story when seen as a percentage of the number of troops engaged by each side. These proportions are roughly equal. As a thought experiment, I sometimes transpose the commanders of each opposing army and hypothesize about the outcome of a battle. What would Meade have done at Gettysburg if he were in Lee’s shoes? What would Lee have done at Fredericksburg if he were in Burnside’s shoes?